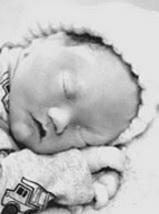 WATERLOO – Trever N. Bergen, infant son of Nick Bergen and Natalie Horton was stillborn Thursday, Oct. 10, 2013, at Allen Hospital. Survived by his parents of Waterloo; maternal grandparents, Ramah Horton and Kenneth Horton; and paternal grandparents, Thomas and Debra Bergen. Services: 1 p.m. Wednesday at Katharine G. Pahl Chapel at Waterloo Memorial Park Cemetery, preceded by visitation. Parrott & Wood Chapel of Memories, an Overton Family Service, is in charge of arrangements.